Montana Off the Beaten Path features the things travelers and locals want to see and experience--if only they knew about them. 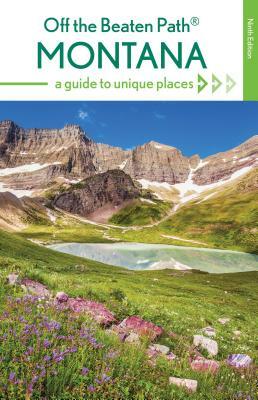 From the best in local dining to quirky cultural tidbits to hidden attractions, unique finds, and unusual locales, Montana Off the Beaten Path takes the reader down the road less traveled and reveals a side of Mississippi that other guidebooks just don't offer. In addition to the text being fully revised and updated, the 8th edition features a new cover treatment and new series branding. Ednor Therriault is a freelance writer, musician and graphic designer. His writing can frequently be seen in the Missoula Independent, Montana Magazine, and other area publications. His first book, "Montana Curiosities," was published by Globe Pequot Press in 2010. He's currently seeking a literary agent for his first novel, "Stealing Motown." Ednor lives with his wife and two hungry teenagers in Missoula.